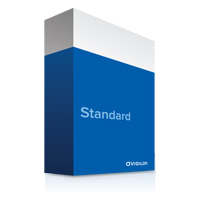 Avigilon Control Centre Standard Edition is a powerful HD surveillance engine with HDSM. Designed as a cost-effective solution to meet vital and focused security needs. Avigilon Control Centre Standard Edition combines high-quality image detail with ease of use and expandability it includes: support for ONVIF, 3rd party IP cameras, and Avigilon HD, HD H.264, HD Panoramic cameras, and analogue encoders as well as robust searching, exporting, and playback controls.